These are window versions (ie. they contain a see through window as pictured). The exact size is 324.. The exact size is 324x229mm. 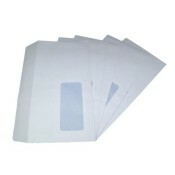 A pack of 50 A4 size window envelopes. These envelopes are strong high .. The exact size is 324x229mm. 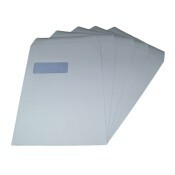 A pack of 100 A4 size window envelopes. These envelopes are strong high.. The exact size is 324x229mm. A box of 250 A4 size window envelopes. These envelopes are strong high .. The exact size is 324x229mm. 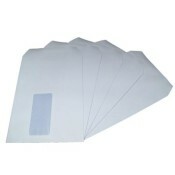 500 A4 size window envelopes. These envelopes are strong high quality 9.. The exact size is 324x229mm. 1000 A4 size window envelopes. These envelopes are strong high quality .. The exact size is 324x229mm. 2000 A4 size window envelopes. These envelopes are strong high quality ..
Classed by Royal Mail as 'Large Letter' size. A pack of 50 x Size D (1) Jiffy Airkraft Padded Bubble..